UNITED NATIONS, May 17 2013 (IPS) - Migratory birds, which play an important role in the complex web of life known as ecosystem services, are under threat as never before, with some species facing extinction within the next decade. Ahead of the International Day for Biological Diversity on May 22, focused this year on water resources, experts are calling for greater international cooperation to find sustainable and cost-effective solutions to the problem of species loss and environmental degradation. “Both water management boundaries and ecosystems rarely conveniently align with geopolitical boundaries,” notes the report Natural Solutions for Water Security, published by the Convention on Biological Diversity (CBD). These birds use wetlands to rest, feed and breed along their migration routes. 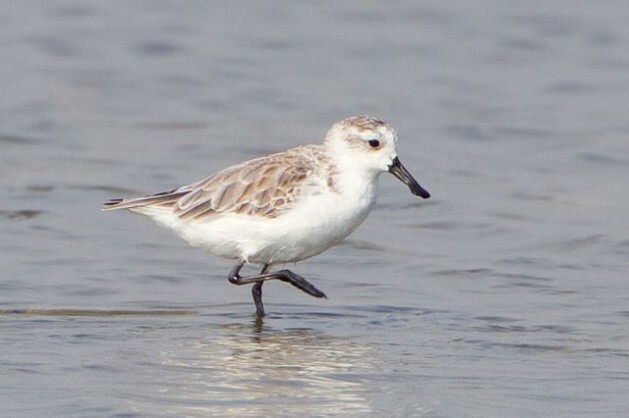 Because of the degradation of their habitats, some migratory bird species could lose up to nine percent of their populations, while others, like the spoon-billed sandpiper, could become extinct within a decade, leading to further ecosystem changes and ultimately impacting on human development. In a statement ahead of World Migratory Bird Day on May 11-12, UNEP executive director Achim Steiner underlined that migratory birds “are part of the web of life that underpins nature’s multi-trillion-dollar ecosystem services,” which are the benefits and resources that nature offers to humankind. “[Migratory birds’] contribution to ecosystem services is increasingly starting to be measured in monetary terms,” Rilla told IPS. As an example of TEEB’s implementation, Nuttall explained how UNEP assisted Kenya in 2012 to calculate the economic value of the ecosystem services generated by the Mau forest northwest of the capital Nairobi. The overall value was assessed at 1.5 billion dollars a year, a consideration that led to the restoration of the forest, as well as of other ecosystems supplying water to Kenyan cities. The advantages of using natural infrastructure like forests and wetlands instead of human-built infrastructure, such as dams, pipelines, water treatment plants and drainage systems, are highlighted in CBD’s report. For example, strengthened coastal ecosystems can function as buffer zones that protect coastal communities from storms; rehabilitating soil biodiversity and functions can enhance water availability to crops and hence improve food security; restoring forests can reduce erosion risks and help deliver better quality water. This approach, known as “Ecosystem-based Adaptation” (EbA), which integrates biodiversity and ecosystem services in climate change adaptation strategies – though cheaper and more sustainable than building new artificial infrastructure – is still under-utilised, says the report. Agricultural activities, which alone account for approximately 70 percent of global water use, could apply a similar approach. “We live in an increasingly water-insecure world,” stresses the CBD report. Although there is no global water scarcity as such, there is an imbalance in its regional distribution, with only 12 percent of the world’s population consuming 85 percent of the available water. Sound governance and equity in the distribution of water-derived benefits seem therefore important questions in the debate. Asked by IPS about sustainable water management strategies in South Asia, one of the most water-scarce regions of the world, Michael Kugelman, senior programme associate for South and Southeast Asia at the Woodrow Wilson International Center for Scholars, cited resource mismanagement as a root cause of problems. He stressed the lack of interregional cooperation in the area, as well as of understanding of the connections between ecosystem protection and water resources. Water cooperation in South Asia is limited to some bilateral initiatives, such as the Indus Water Treaty between India and Pakistan. At a global level, the main mechanisms dealing with biodiversity and water management are the Ramsar Convention on Wetlands (signed in 1971 in Ramsar, Iran) and the above-mentioned CBD, which was created at the 1992 Earth Summit in Rio de Janeiro, Brazil, and in 2010 adopted its Strategic Plan for Biodiversity for the period 2011-2020. The United Nations declared 2013 the International Year of Water Cooperation.